With the sudden crisp cool temperature in the air and the leaves changing from green to golden, the desire to turn on the oven and bake all the fall things is strong. Feel that baking urge too? 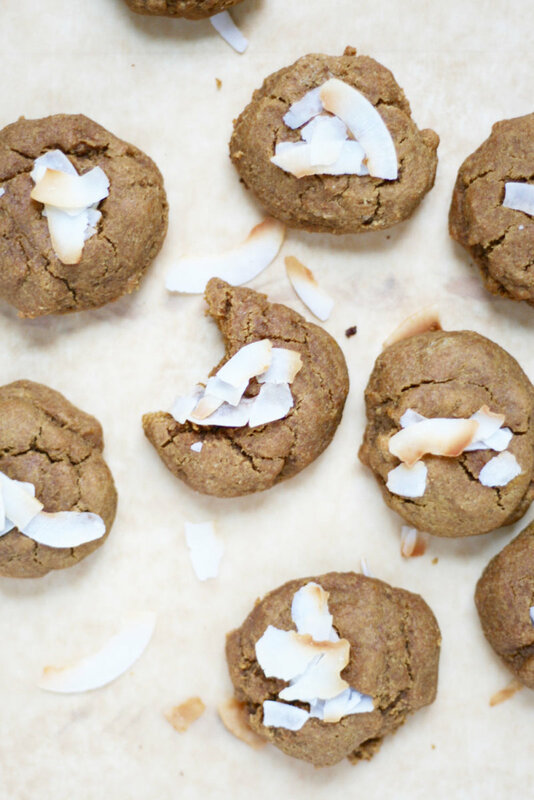 What better way to listen to the call than by whipping up these seasonal paleo cookies filled with healthy ingredients like pumpkin and nut butter. Seasonal baking does not need to be a sugar, butter, and white flour bomb. In fact, you can easily make your favorite holiday recipes healthier by making some smart swaps. 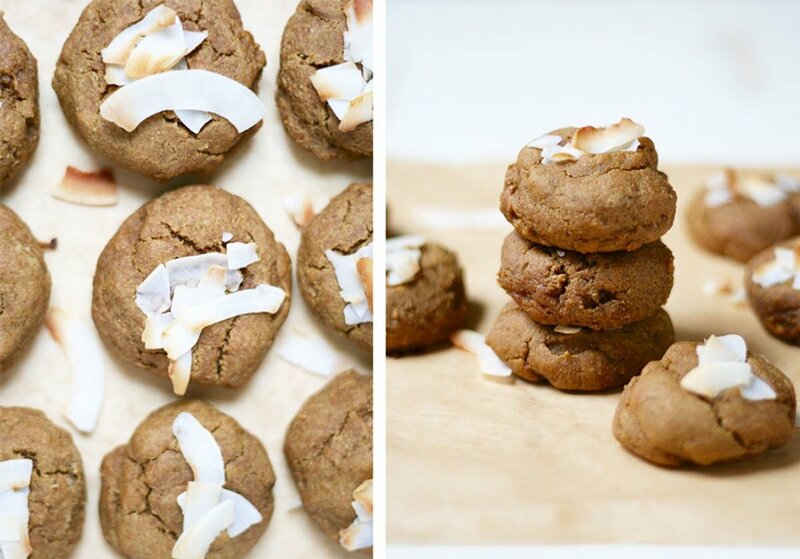 In these paleo cookies, we’re using almond flour instead of refined white flour and nut butter instead of butter to totally boost the nutrient content. 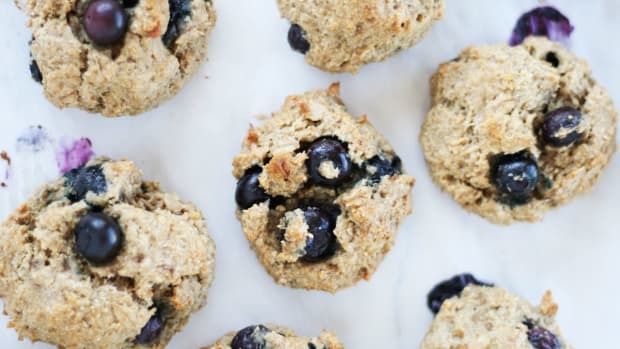 Along with those healthy whole food ingredients, these cookies are sweetened with coconut sugar for a delicious way to add body-loving minerals and avoid white sugar. Do those healthy swaps really deserve all the hype? Yes! The easiest way to start making healthier choices can be by simply using more whole food ingredients than the processed and refined ones. An easy way to make all your baked goods more whole and nutritious is by using a different kind of flour. Refined white flour is doing you zero favors, so why not make the swap to something less processed? 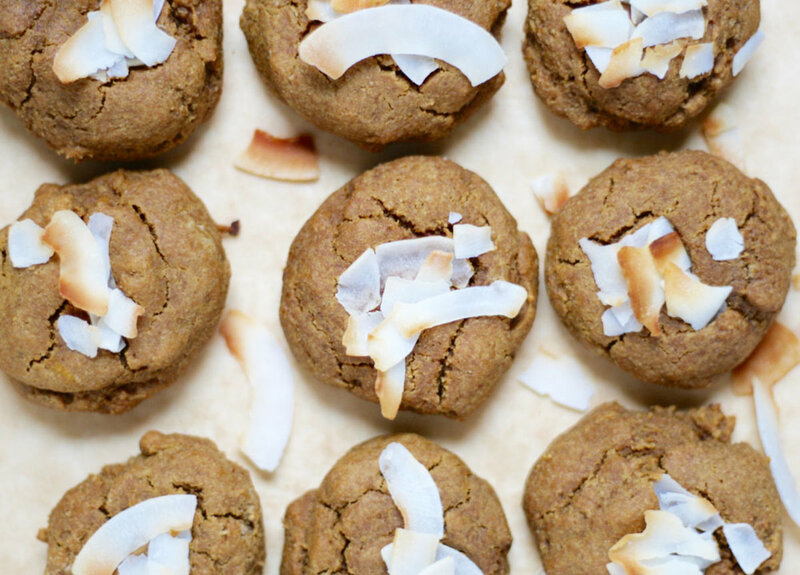 In this recipe, using almond flour (also known as almond meal) instead of white flour makes these pumpkin cookies far more nutritious, grain-free, gluten-free, and paleo-friendly. Almond flour is simply blanched almonds that have been ground up into a fine texture. You can do this process yourself or buy a bag of the flour at natural food stores. 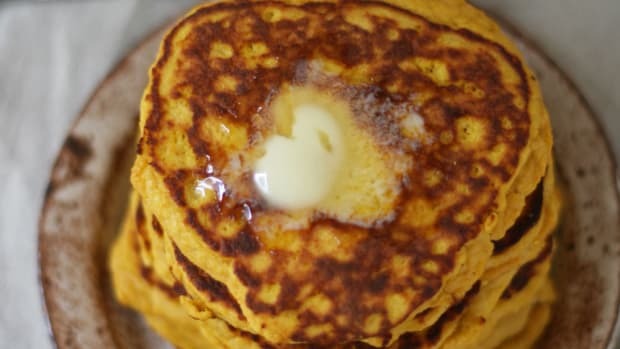 This nutty flour is low in carbohydrates while being protein-packed and filled with (healthy!) monounsaturated fatty acids. Almonds and their beneficial fats have long been studied for their heart-loving properties and ability to discourage cancer growth. They are also filled with skin-loving vitamin E, iron, calcium, potassium, magnesium, and fiber. Coconut sugar is an easy (1:1 ratio) substitute to make with white sugar in baking recipes. It not only has a lower glycemic index than white sugar, but it contains more minerals and is way less processed than the white stuff. 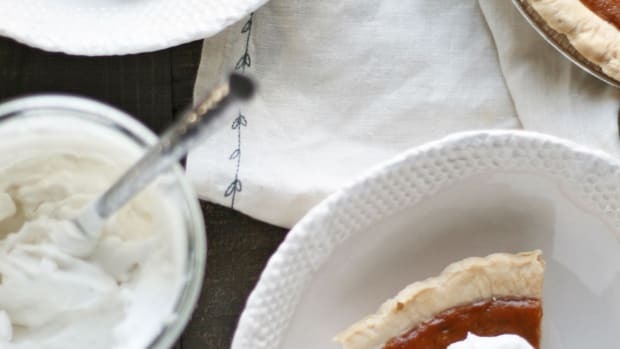 With a subtle sweet maple flavor, this alternative sugar is my favorite for seasonal recipes. You can purchase coconut sugar online or at health food stores. I’m not about to bash (organic or grass-fed) butter in any way, but if you’d like to keep your cookies or baked goods butter-free, using nut butter is an easy choice. 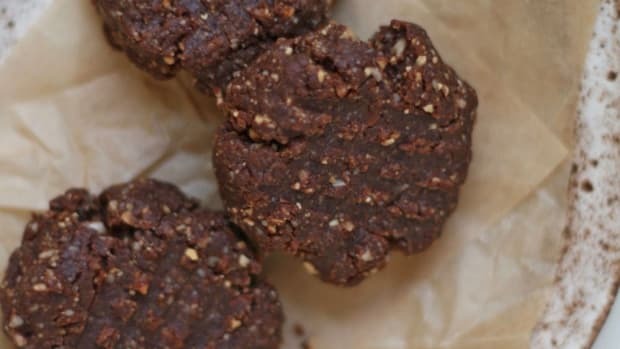 Whether you prefer almond, cashew, pecan, or peanut (PB is not paleo-friendly, FYI), your nut butter of choice is a delicious addition to baked goods like these paleo cookies. I love using almond butter in cookie recipes, as it provides more essential fats plus a subtle nutty flavor and a soft texture to the cookies. 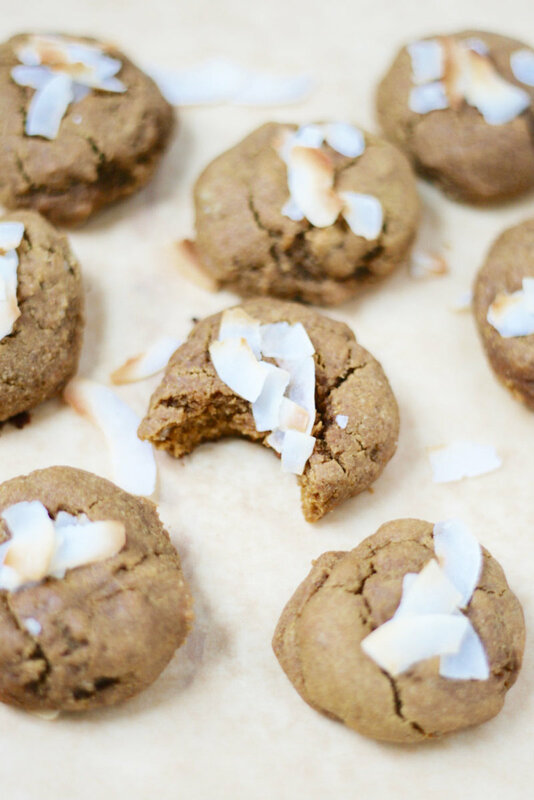 Pumpkin not only gives these paleo cookies the most delicious seasonal flavor but it adds plenty of digestive friendly fiber, vitamin A, B vitamins, and calcium. Warming spices from cinnamon and pumpkin pie spice keep things festive and flavorful, while optional dark chocolate chips or raisins make this recipe delectably drool-worthy. 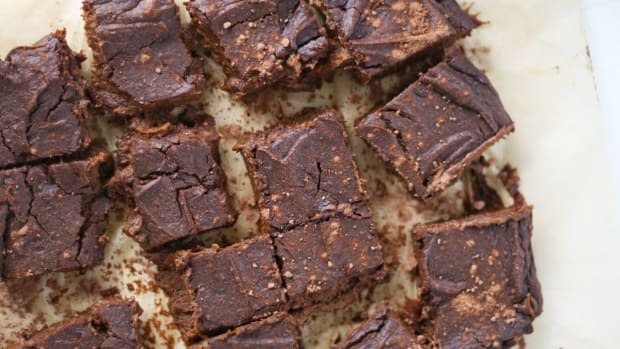 Here’s to making baking season way, way healthier. 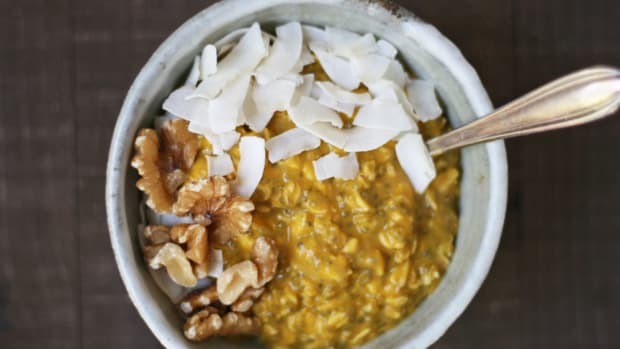 In a large bowl, whisk together egg, almond or cashew butter, pumpkin puree, coconut sugar and vanilla. In a separate mixing bowl, combine the almond flour, sea salt, spices, and baking soda. Slowly mix the dry ingredients into the wet ingredients until fully absorbed and a thick, sticky dough forms. Fold in chocolate chips or raisins, if using. Let chill in the refrigerator for 15-20 minutes. Once the dough is chilled, roll into balls using WET hands and place on lined baking tray. 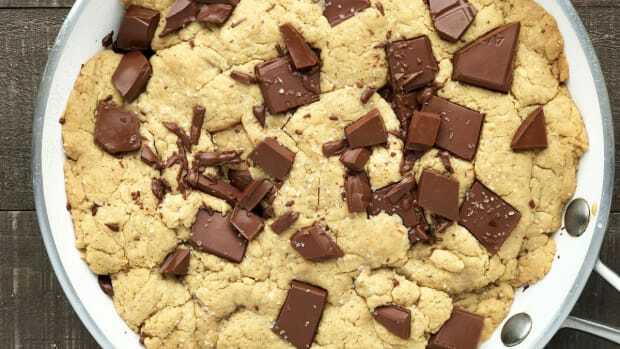 Gently use your wet hands to flatten each into a cookie shape of about ½ inch thickness. 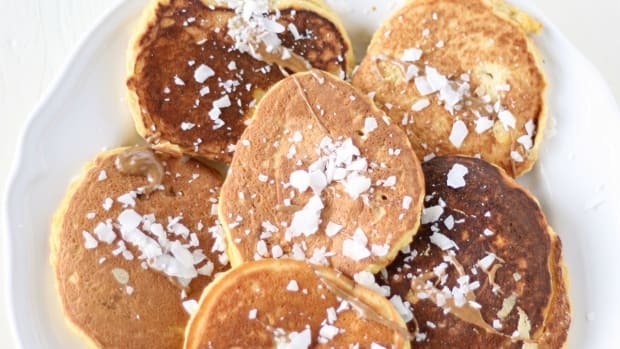 Top with a few pieces of coconut flakes, if desired. Bake for 10-12 minutes or until just set. Remove from oven and allow to sit for a minute before transferring to wire racks to cool completely. Store leftovers covered in the refrigerator. Enjoy!